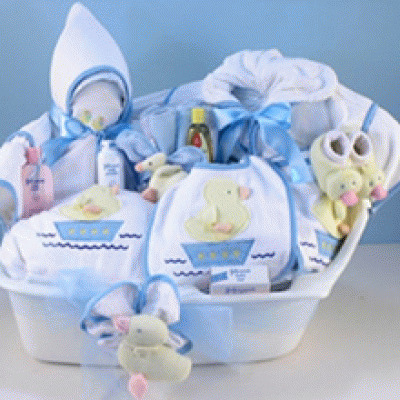 A baby gift that'll last forever! 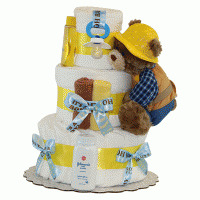 Here's a a great alternative to a traditional diaper cake. 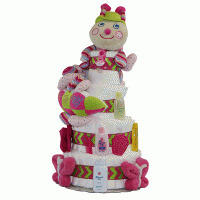 It's our fabulous Forever Baby Book Towel & Baby Blanket Cake. This wonderful keepsake baby gift includes our stunning Forever Baby Book album to hold all of baby's precious photos, a sports themed terry hooded towel, an incredibly soft & plush baby blanket, and other sports themed bath items for the new baby boy. 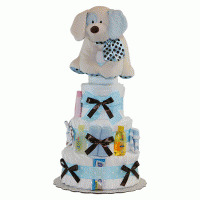 The result is a handsome looking baby gift that comes elegantly wrapped in tulle. Please note this gift will be shipped with either a baseball or football motif bath set due to availability.